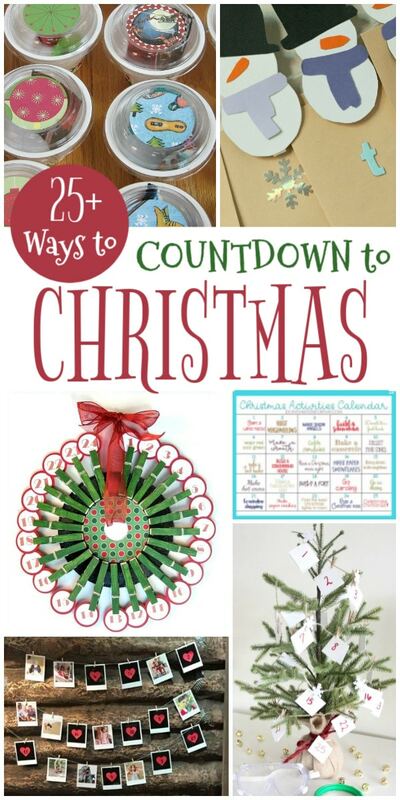 This collection of Countdown to Christmas Ideas is full of fun ways to keep track of how many days are left until Christmas. From enjoying small treats to being kind to others, these countdown to Christmas ideas will do plenty to put you in the Christmas spirit! My oldest daughter literally started her countdown to Christmas in September. She LOVES Christmas and spends the entire last third of the year planning all of the things she’s going to do, bake, and buy to celebrate the season. Every family is unique and has its own traditions and interests. That’s why I gathered up several different Countdown to Christmas ideas. 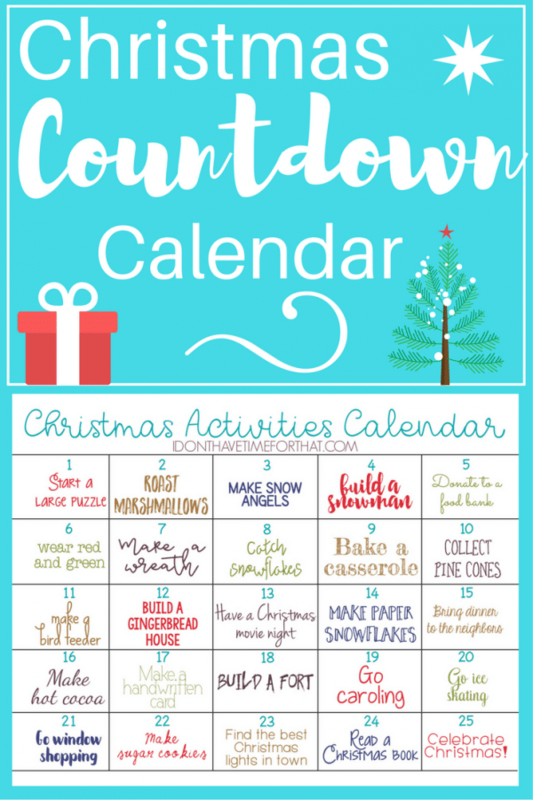 I wanted to be sure that no matter how you celebrate Christmas, you would find a countdown idea in this list that you’ll love. 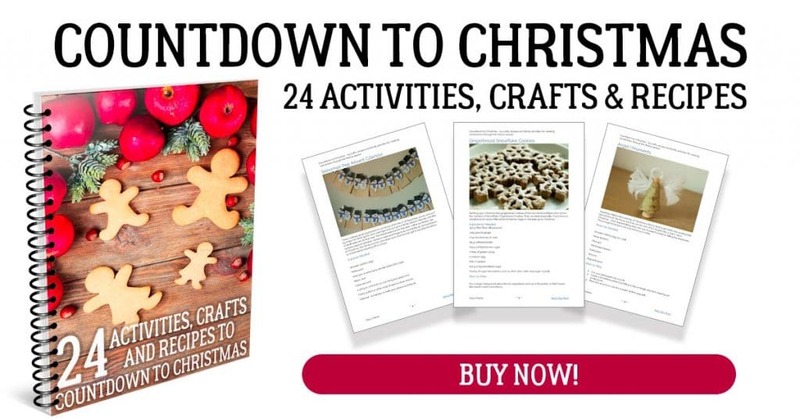 Below you’ll find a wide range of countdown to Christmas ideas from educational to beautiful. Whether you’re looking for an advent calendar that’s fun for the kids, one that will emphasize the true meaning of Christmas, or one that will double as an eye-catching holiday decoration, you’re sure to find what you want in the list below. 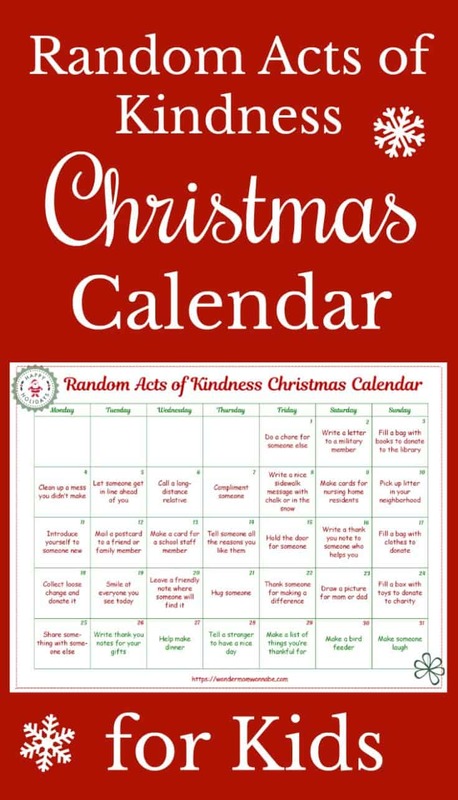 This Random Act of Kindness Christmas Calendar is a great way to encourage the entire family to embrace the Christmas spirit and spread goodwill throughout the season. Strengthen your family bonds and create lasting memories with this Christmas Activities Countdown Calendar. 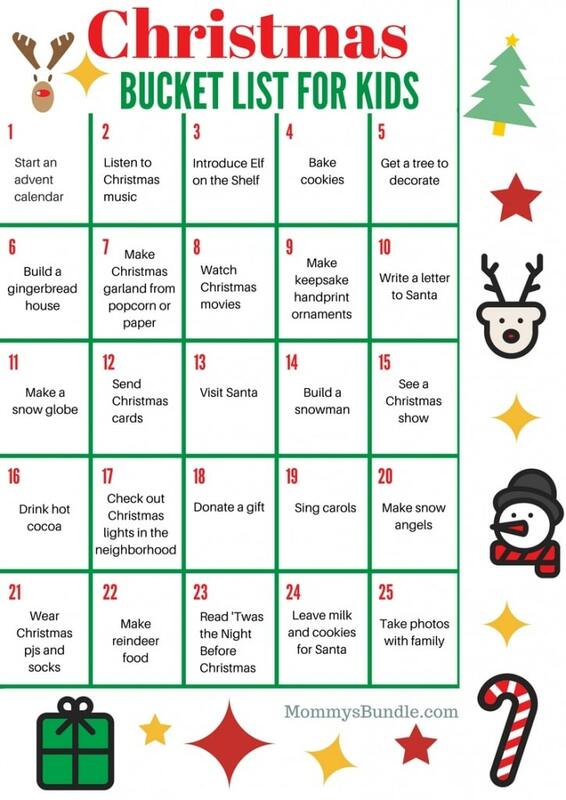 This Christmas Traditions and Activities Bucket List is another fun printable countdown to Christmas idea that focuses on having fun. 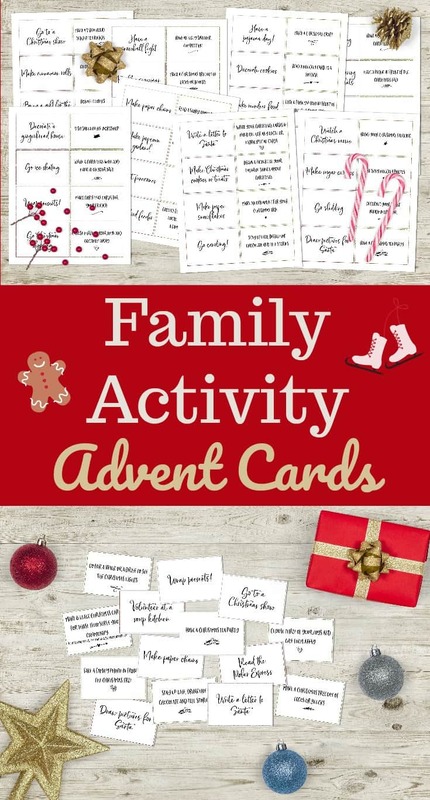 If you want to add a game element to your family fun countdown, try these Family Activity Advent Cards. 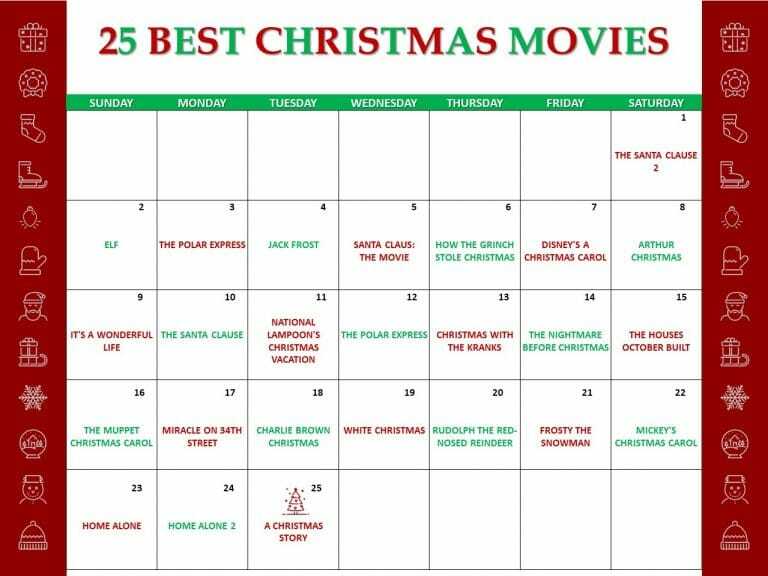 If your family loves watching all of the Christmas movies, you might enjoy this countdown of 25 days of Christmas movies. Add a little festive fun to your holidays with these 25 science, technology, engineering, and math ideas organized in this Christmas STEM Countdown Calendar. 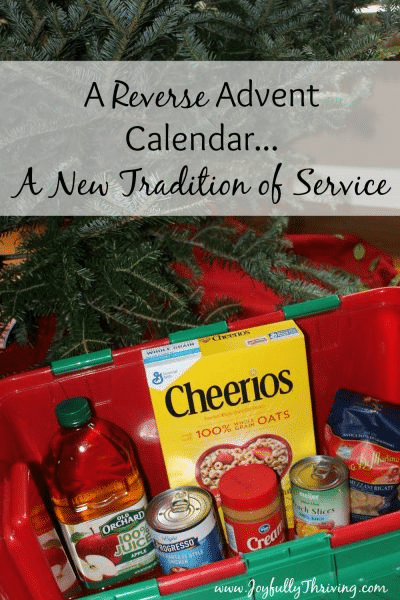 Collect food each day of the month in December for those in need with this Reverse Advent Calendar countdown idea. Keep the kids busy with the building challenges in this Lego Advent Calendar that your LEGO fans are going to love. 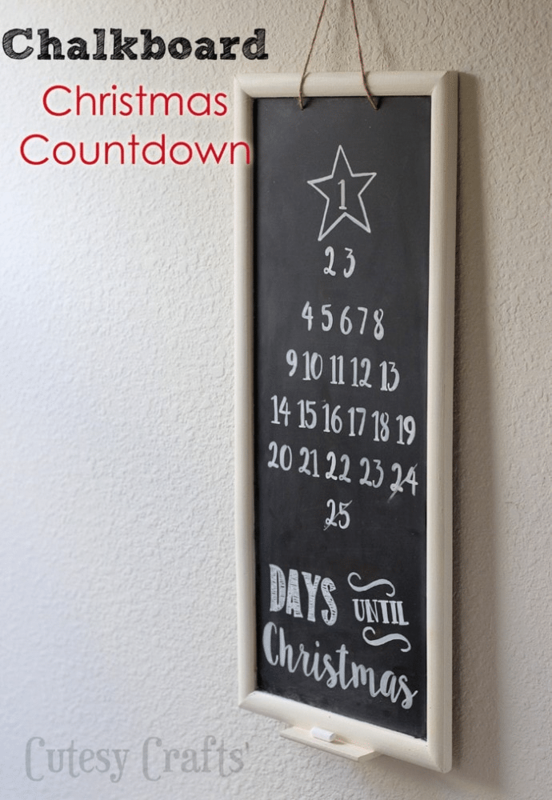 Make the most of the holiday season and add to your Christmas decor with this beautiful, simple Chalkboard Christmas Countdown board. 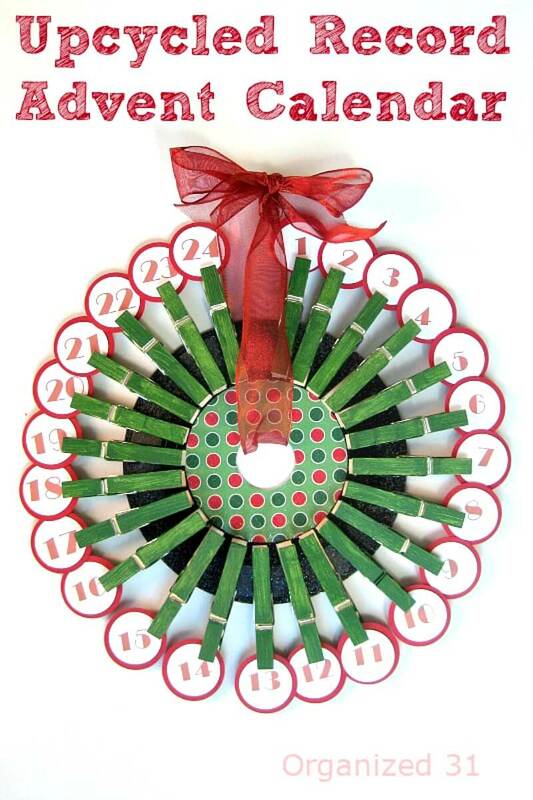 I love this beautiful Upcycled Record Advent Calendar. Such a pretty and creative way to repurpose old vinyl records! 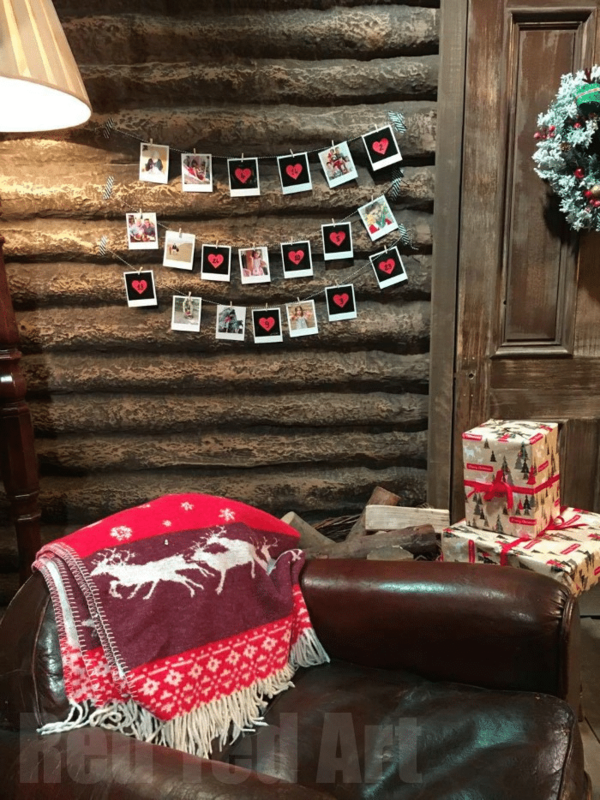 Print out your favorite photo memories from the year to create this simple DIY Photo Advent Calendar to countdown to Christmas. 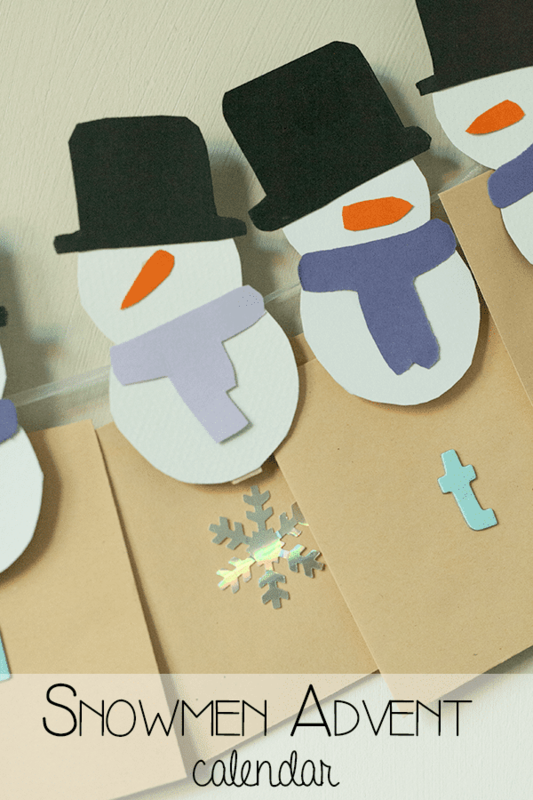 Countdown to Christmas with this simple DIY Snowmen Advent Calendar using clothespins and tiny paper snowmen. 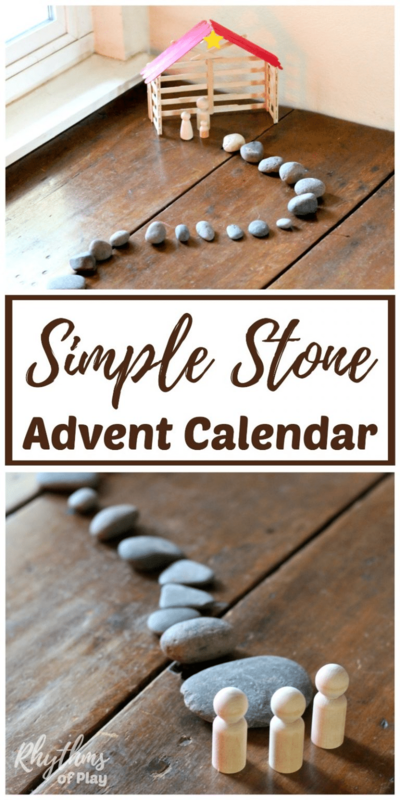 Prepare for the celebration of the Christmas with this Simple Stone Advent Calendar nativity scene. This DIY Nativity Advent Countdown Calendar is an adorable and fun way to countdown to Christmas as you move baby Jesus closer to the cradle. Your countdown to Christmas can be tasty and fun! 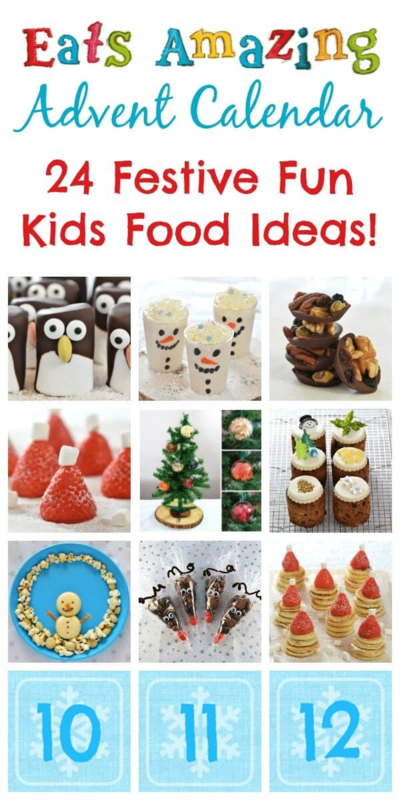 Kids will enjoy these awesome Christmas fun food ideas on The Eats Amazing Advent Calendar. 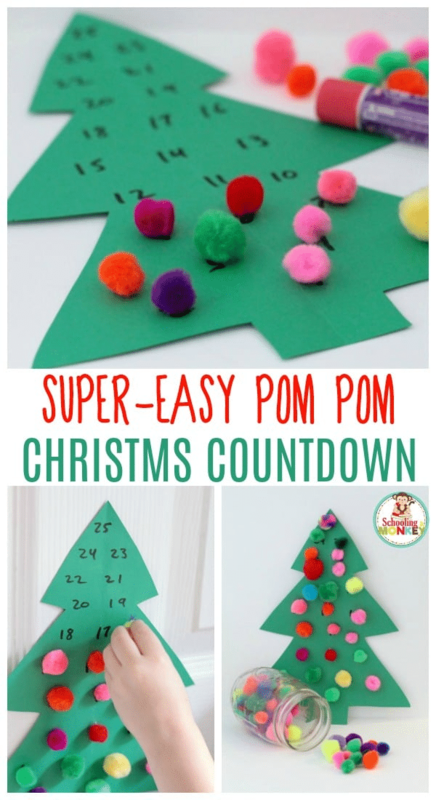 This super easy Pom Pom Christmas Tree Advent Calendar makes a great countdown to Christmas craft for the kids. 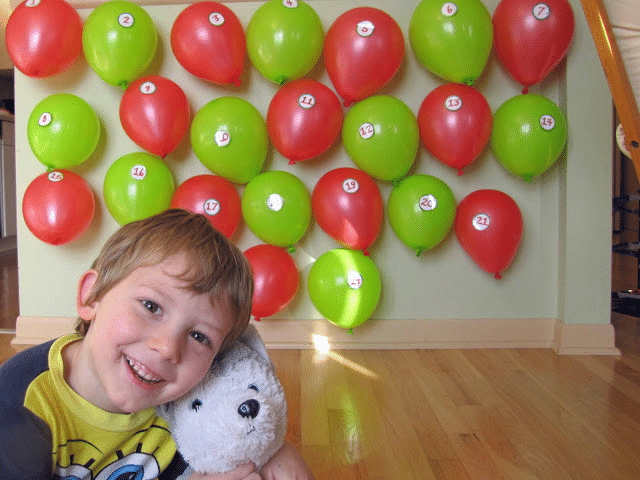 A fun Balloon Advent Calendar, including daily activities for kids to countdown to Christmas. 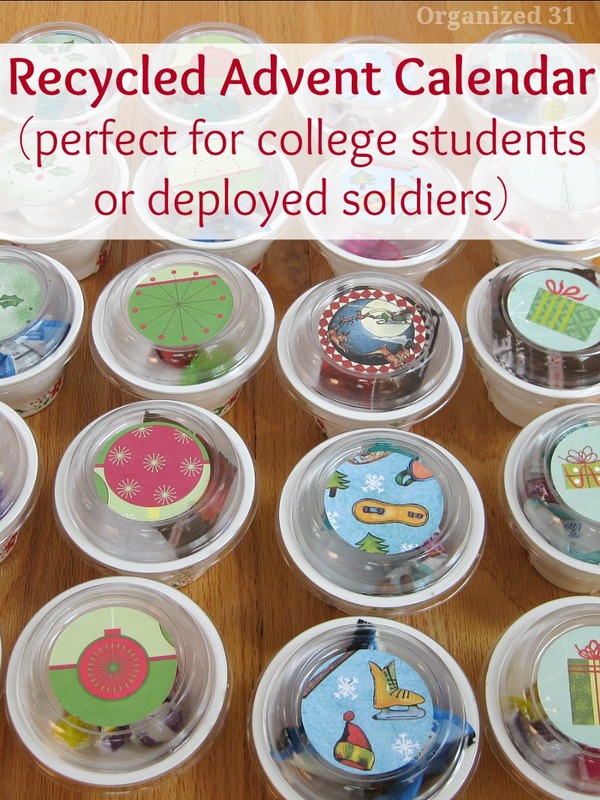 Make this DIY Advent Calendar from Recycled Yogurt Cups and fill each one with whatever you want (e.g. small treats, stickers, kid coupons)! 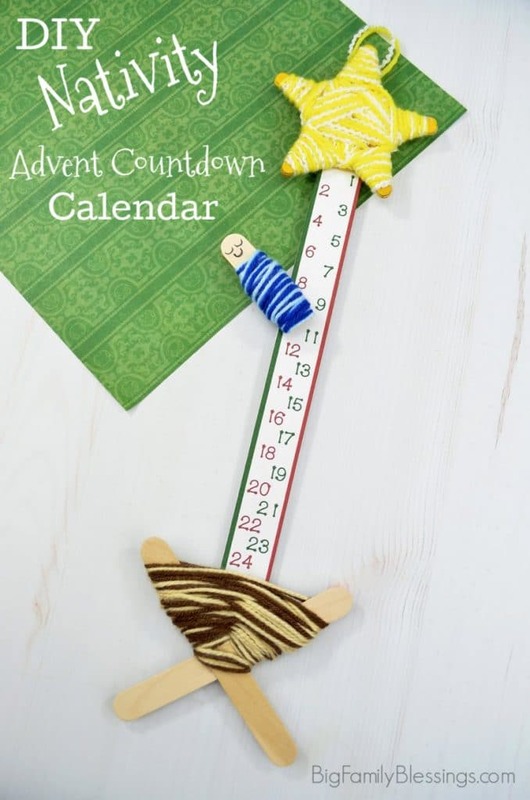 Another great option if you want to include small treats for each day is this Easy Christmas Cracker Advent Calendar. Fellow book lovers, try this 25 Days of Christmas reading countdown. It’s perfect for getting kids excited about reading! I love this Countdown to Christmas book. It comes with detailed instructions for 24 days of activities, crafts and recipes perfect for the holiday season. 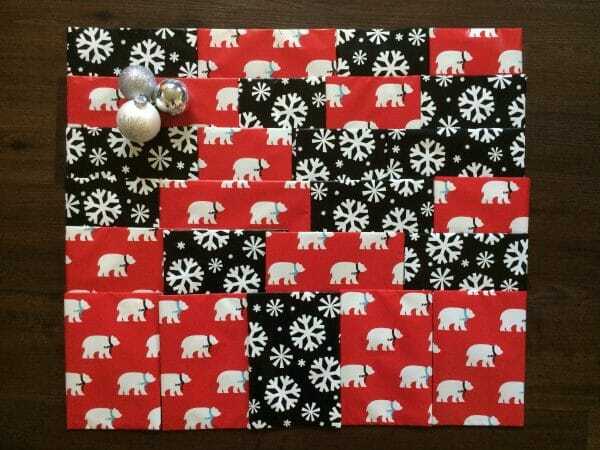 If you want to skip the crafting, but want a Countdown to Christmas activity that is eye-catching, here are some of my favorite advent calendars that you can buy.